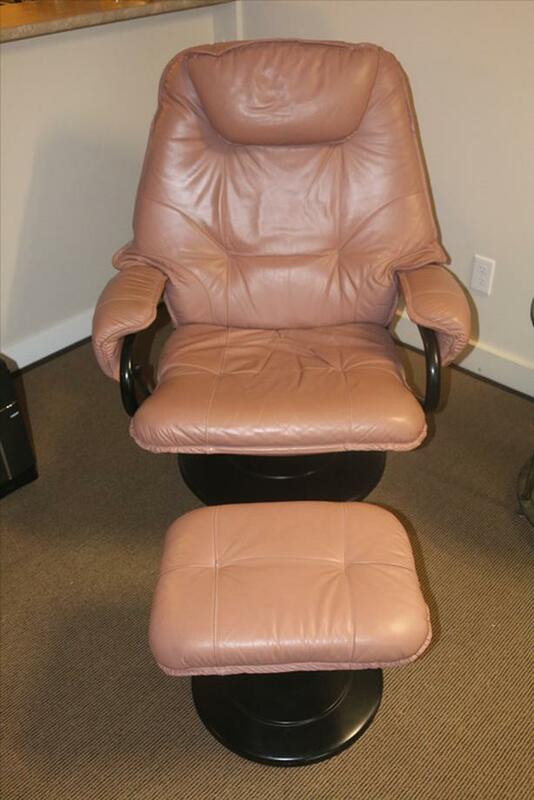 Palliser swivel reclining chair with ottoman in excellent condition. Tan colour Faux leather. Metal frame.